In an intimate and opulent environment against a backdrop of sparkling city lights Man Wah’s culinary team serves outstanding Cantonese traditional favourites and seasonal specialties interpreted with a hint of modern flair. Man Wah opened in 1968, only five years after the opening of the Mandarin Oriental, and at a time when the 27-storey hotel was the tallest building in Hong Kong was for many years the highest Cantonese restaurant on the island. 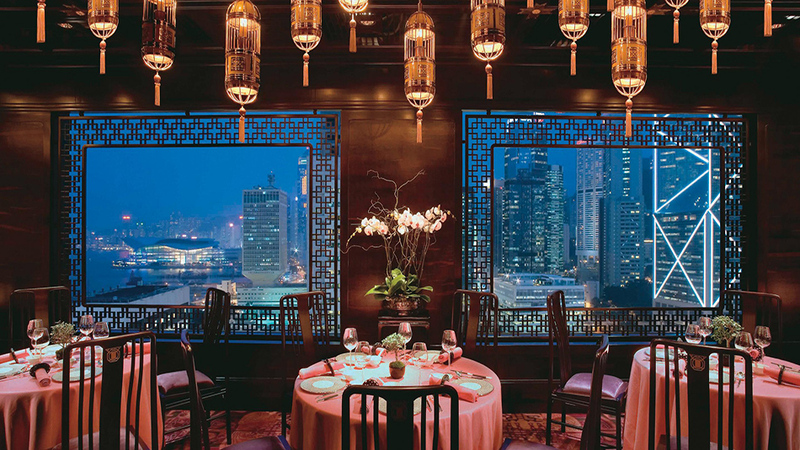 Designed to be sumptuous in both décor and cuisine, the setting enhances the finest Cantonese cooking. MUST TRY: Braised abalone and chicken in casserole, fresh and ginger. Wok-fried lobster, scrambled eggs, osmanthus. Wrap-around windows for this corner site fill the restaurant with natural light during the day, and in the evening the harbour and lit towers form one of the great canvases of Hong Kong. 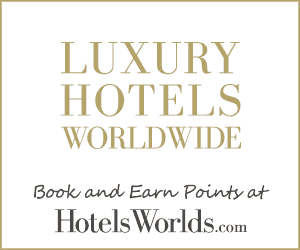 Rich carpeting, carved screens, linen tablecloths, black-clad waiters, all add to the magic. Many of the staff are old-timers, adept at dealing with any questions about the dishes, and at recommending wines from what must be one of Hong Kong’s finest wine selections. Hung Chi-Kwong has been with Man Wah for a quarter of a century, having worked his way up through almost every position in the kitchen. Rooted in tradition, Man Wah also reinterprets the classic Cantonese favourites, adding a hint of modern flair, a twist on the ingredients and modern cooking methods, and always an eye on the healthy aspects of eating. Seasonal specialities like Wok-fried wagyu beef cubes, fresh lily bulb, green peppercorn, Stir-fried Chilean sea whelk, dried Miyazaki bamboo shoot or Stewed sea cucumber, preserved mustard cabbage are on the menu. Live lobster and live prawn are signature items, at market price. As suitable for families as it is for power dining, and the final bill does not need to be astronomical; although it will be if hitting the Yoshihama abalone and the cognac.